A critical look at the past two decades of the famed dual-sided icon. Strictly speaking, March 4, 2016, will mark the 85th anniversary of the original Alfred-Rene Chavot patent request for a reversible watchcase. French Brevet 159982 was the end-result of a chain that started in India and ended in Le Sentier, Switzerland, Jaeger-LeCoultre’s home. More than a seminal model in the history of Jaeger-LeCoultre, the story of the Reverso is a saga whose path intersects the origins of the modern company. In 1937, after six years of success in the crucible of the Depression-era marketplace, the Reverso’s original Specialités Horlogères distribution outfit was reconstituted and registered as Jaeger-LeCoultre S.A. The Reverso narrative since 2000, within the Richemont era, has been one of startling variety, staggering complications, and ever-larger cases. 1990s brand saviors Henry-John Belmont and Günther Blümlein passed the reigns of the manufacture to former Jaeger-LeCoultre controller Jerome Lambert in 2002, and the company’s focus shifted from reconstruction to revolution. Fortified by the influx of Richemont dollars and distribution channels, Lambert sought to make a splash. For Reverso, the tale of the 2000s was one of miracles and monsters. Miracles arrived in the form of unprecedented splendor. The aptly named Reverso Platinum Number One (2001) marked the historic premiere of its namesake metal in the Reverso family. A skeletonized and engraved caliber 849SQ of foil-like 1.85mm thickness declared the manufacture’s immense progress in this art since 1992’s Art Deco. While visually stunning and well timed to coincide with the Reverso 70th anniversary, the Platinum Number One was only a warm-up for the true Platinum Jubilee bombshell. So intent was the company to cement the Reverso’s haut-de-gamme credentials that the debut of the platinum 70th anniversary Reverso Septantième was delayed a full year solely to perfect its 18-karat white gold eight-day movement. Launched in 2002, the 70eme opened the floodgates to the massive innovation and commensurate case sizes that characterized the Reversos of the 2000s. At 46.5mm lug-to-lug, the so-called XGT case dwarfed the former size leader, 1991’s 42mm Grand Taille. And while the 70eme’s 18-karat caliber 879 remained exclusive to the anniversary Reverso, brass variants quickly proliferated throughout a Reverso line suddenly given to size and complexity. Having joined the decade’s oversized watch movement, the Reverso in 2006 returned to its ancestral sporting role with the Reverso Squadra lineup. True monsters in every sense, the rectangular Squadra family dwarfed even the Septantième. At over two-inches from lug-to-lug, the Squadras became Reverso’s answer to the Audemars Piguet Royal Oak Offshore and Hublot’s Big Bang. Oversized cases slung from metal bracelets and packed with complicated automatic movements were the hallmarks of the Squadras, and the associated marketing campaign built upon sports imagery was redolent of testosterone. Ironically, the men’s Squadra line never succeeded in stealing market or mindshare from its oversized rivals, but the Squadra family became an unqualified hit with female customers of the manufacture. As of 2016, the Reverso Squadra line exists exclusively to serve this clientele. Technical miracles arrived in step with cavernous cases. 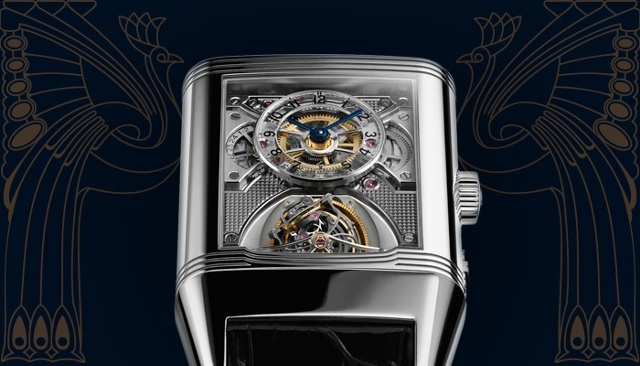 The 2006 Reverso Grande Complication à Triptyque and Gyrotourbillon 2 pair elevated Jaeger-LeCoultre’s signature watch into the Olympian ranks of contemporary heavies including the Patek Philippe 6002, Vacheron Constantin Tour de L’Ile, and the Audemars Piguet Royal Oak Concept series. The Gyrotourbillon 2 fused the manufacture’s 2004 sensation, the multi-axial Gyro tourbillon, with the evergreen Reverso platform. Designed by a pre-Cabestan Eric Coudray, the hypnotic tumble of the Gyrotourbillon was showcased to maximum effect by the double-sided virtues of the Reverso case. Despite its immense proportions, the ethereal expanse of the open Gyrotourbillon created the impression of miraculous lightness. The hulking Triptyque simply was a monster. 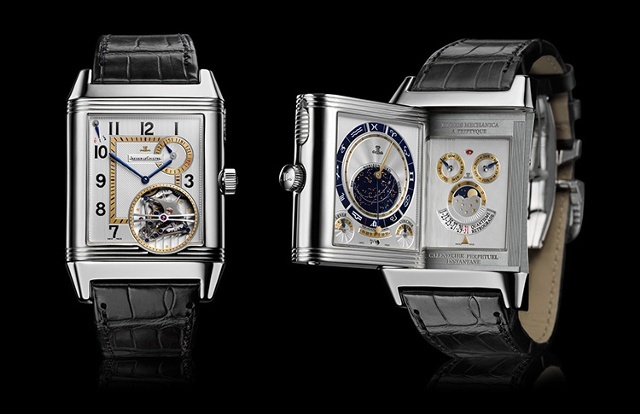 In the platinum Tryptique, Jaeger-LeCoultre created the first true Reverso grand complication. Weighing over a pound (450g) and occupying the wrist area of two-and-a-half 1931 Reverso cases, the Triptyque dwarfed even the largest Squadras. On the Triptyque’s primary dial, a deadbeat-seconds tourbillon with direct-impulse isometric escapement transmitted its force through silicon components to a free-sprung balance. While such an assembly could have been a showstopper by itself, on the Triptyque the tourbillon merely headlined the catalog of eighteen complications. As the first and only Reverso to feature three dials (the third in the case chassis itself), the Triptyque conveyed civil, sidereal, and perpetual calendar time scales simultaneously. It remains the most complicated Reverso ever built. 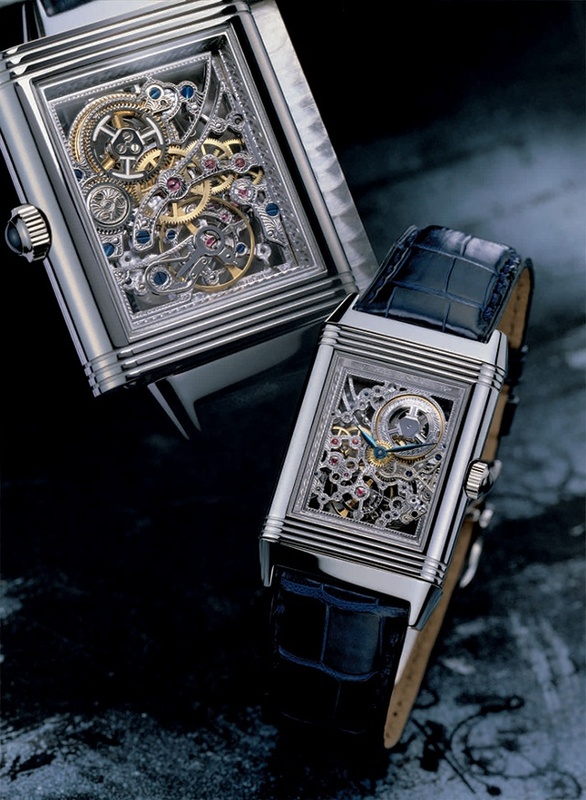 Jaeger-LeCoultre closed out the 2000s with a final flourish of colossal cases and engineering might. The 2009 launch of the time-only Reverso 976 and dual-time 986 brought the mightiest mainstream Reverso case sizes into the mainstream of Reverso pricing and cemented the full-size Reverso case as the model line’s new normal. 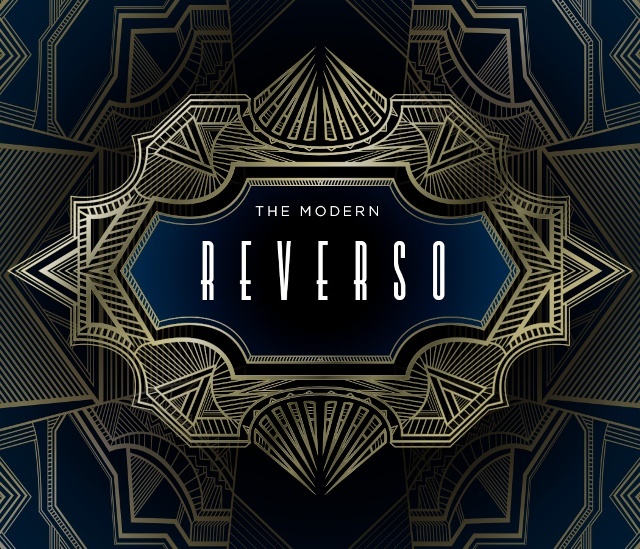 For Reverso, the 2000s came to a close in 2011. That year’s SIHH showcase celebrated the model line’s 80th anniversary with a combination of decadence and discretion. 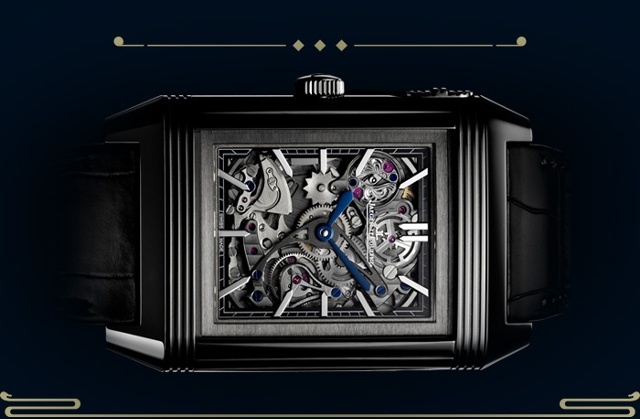 The former, in a final flourish of the previous decade’s exuberance, delivered the skeletonized Reverso Répétition Minutes à Rideau. A 75-piece limited edition, the sliding-curtain Rideau highlighted JLC’s staggering progress since its first tentative steps toward recovery in the early 1990s. The Rideau’s exquisite tone, volume, and sustain arrived courtesy of trebuchet repeater hammers and crystal-welded gongs; the aurally challenged Reverso Répétition of 1994 was celebrated simply because it worked at all. Symbolically, Reverso’s rehabilitation had come full-circle. In a real sense, the Rideau brought Reverso’s delirious 2000s to a close just as the first rays of light dawned on a new era of refinement. Reestablished at the apex of collector esteem, Jaeger-LeCoultre’s icon was liberated from extravagance and free to explore the aesthetic essence of its appeal. 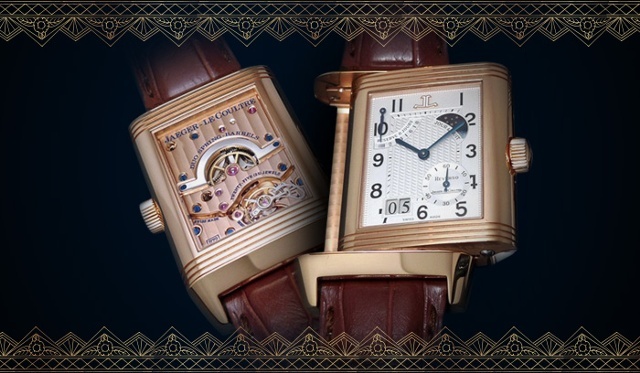 Since the 2011 80th anniversary, the entire Reverso line has taken a sharp turn towards neo-classical design language. While the 60th and 70th anniversary Reversos were baroque showcases for complications and decorative arts, the 2011 Grande Reverso Ultra Thin Tribute to 1931 was true to its name. The 1931’s dial amounted to a scaled and refined revival of its unbranded historic namesake. 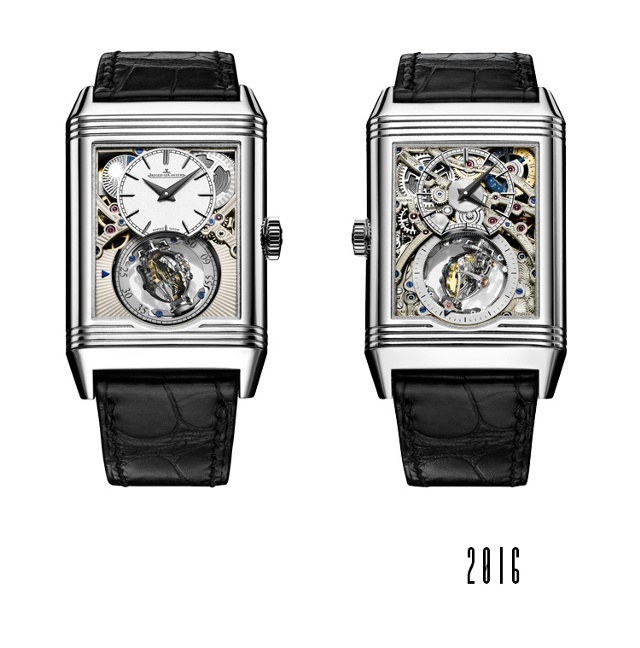 While broad, its slim case shed the bulk that had characterized the Reverso lineup since the oversized XGT Septantième of 2002. 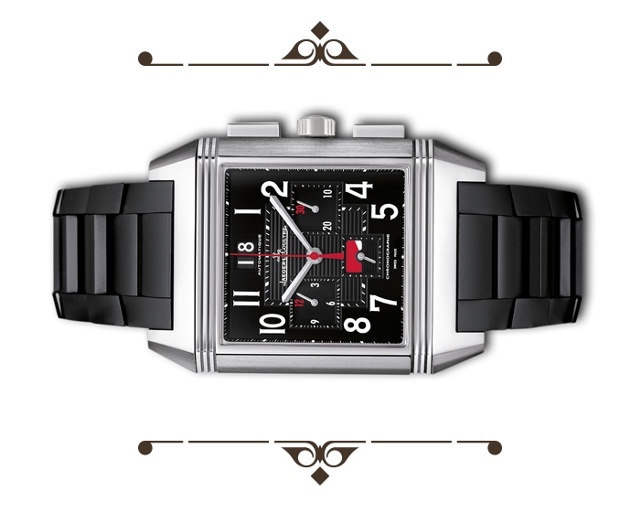 Jaeger-LeCoultre’s paradigm-changing 2011 Tribute established the current aesthetic norms for the Reverso family. The intervening years have seen these conventions take hold in the form of the Grande Reverso 1931 Rouge, the Grande Reverso Ultra Thin Duoface Bleu, the Grande Reverso Ultra Thin 1948, and 2015’s Grande Reverso 1931 Seconde Central. Recent limited editions for the U.S. and U.K. market have maintained the new rhyme scheme with variations on the 1931 theme. Jaeger-LeCoultre in 2016 receives a makeover in the spirit of its recent reversion to a vintage vibe. An unconventional icon, Jaeger-LeCoultre’s Reverso defies such traditional collector pastimes as declaring a definitive style or anointing an essential model. 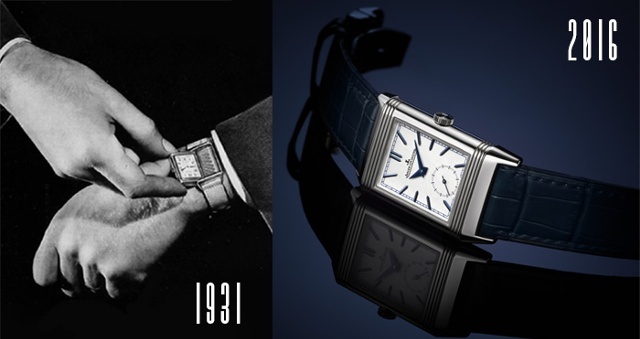 The Reverso triumphs as a vessel for its own vast history and a vehicle for change.